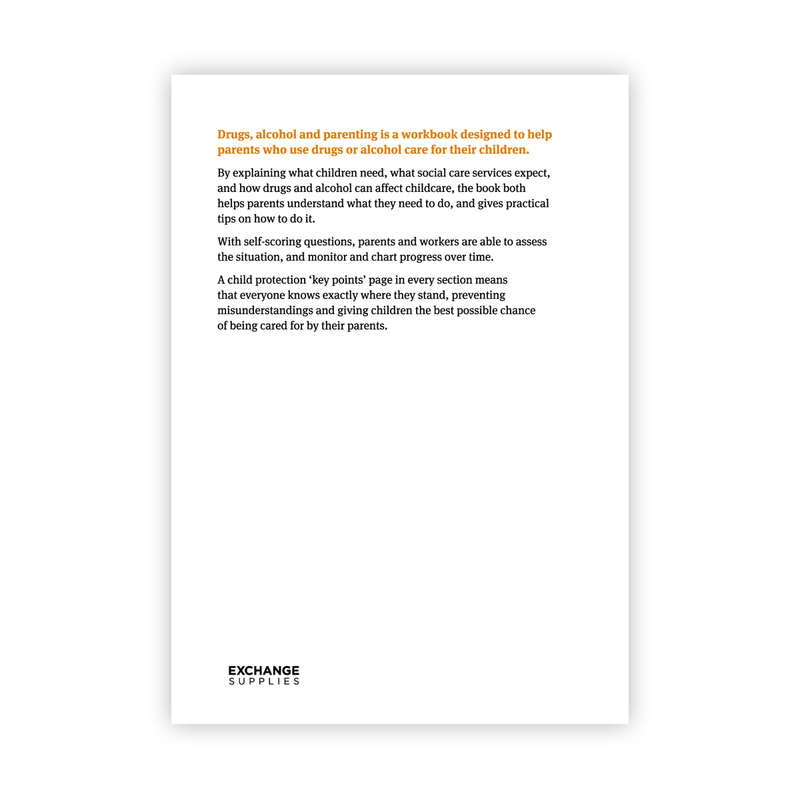 Fully revised and updated 2nd edition of Drugs, alcohol and parenting: a workbook designed to help parents who use drugs or alcohol care for their children. 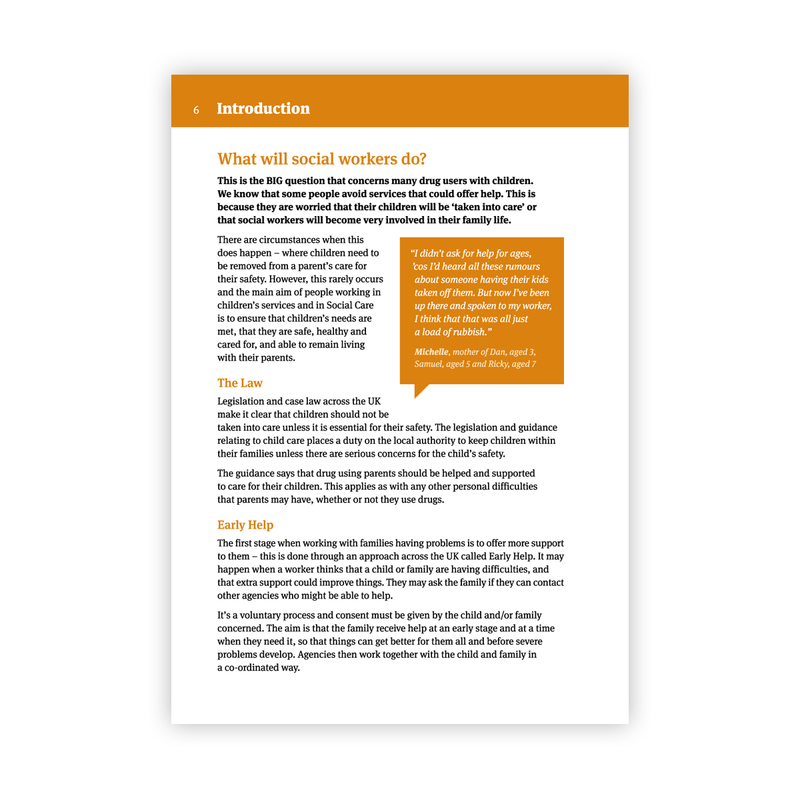 Written by Mary Glover - an experienced childcare social worker, drug worker and trainer, the book explains what children need, what social care services expect, and how drugs and alcohol can affect childcare. 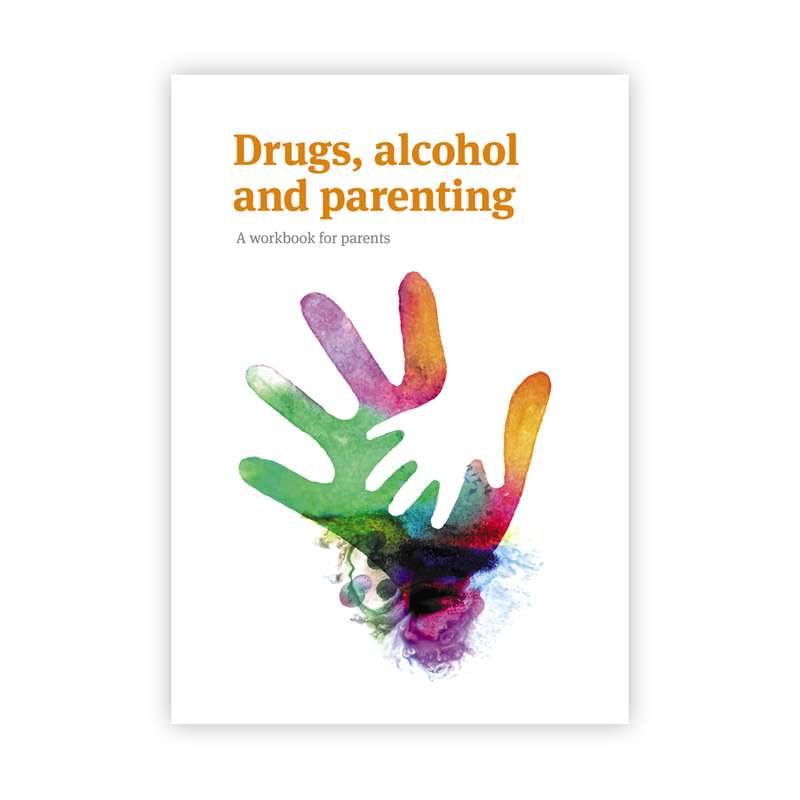 The book helps parents understand what they need to do, and also gives practical tips on how to do it. 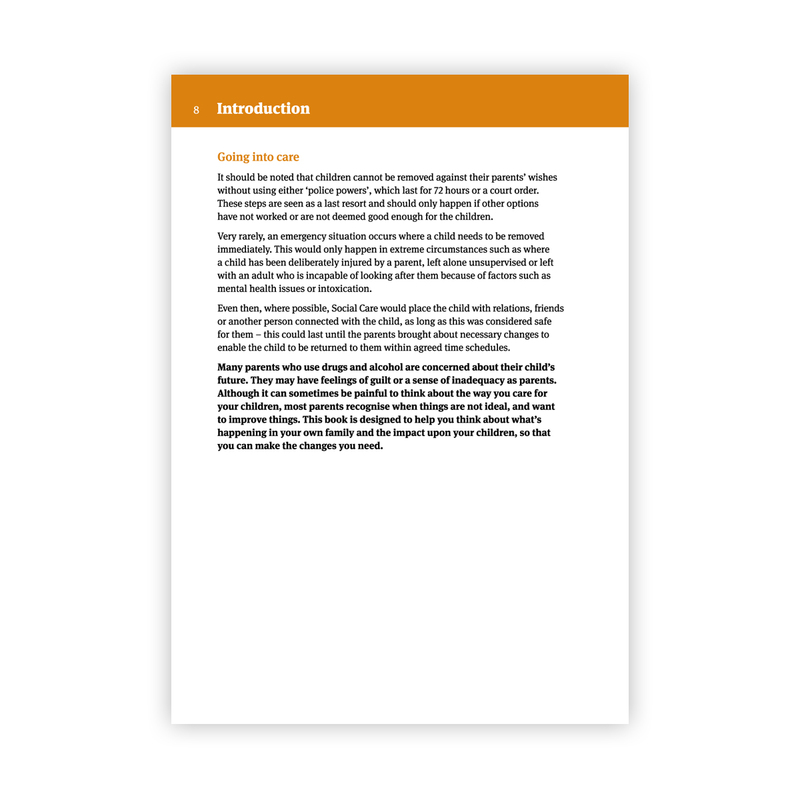 With unique self-scoring questions, parents and workers are able to assess the situation, and monitor and chart progress over time. 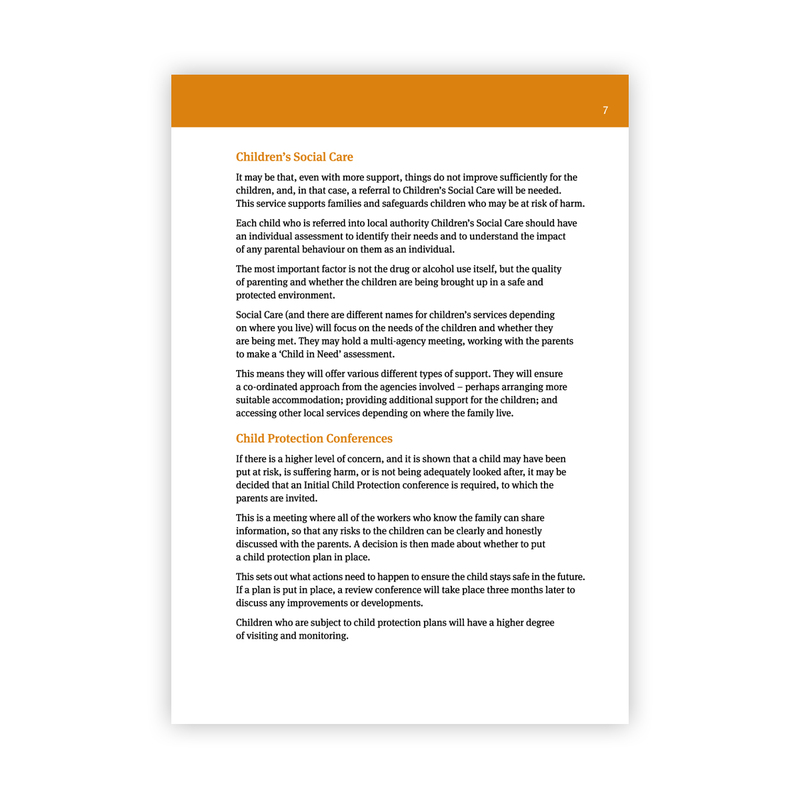 A child protection ‘the bottom line’ page in every section means that everyone knows exactly where they stand, preventing misunderstandings and giving children the best possible chance of being cared for by their parents. 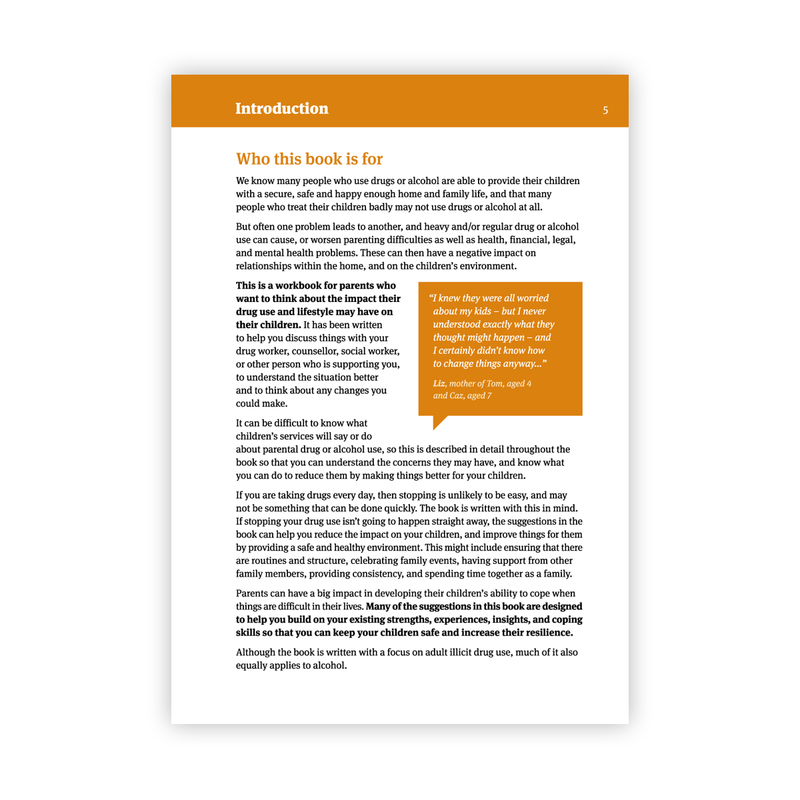 is wiro bound so that it can lie flat to be written in.